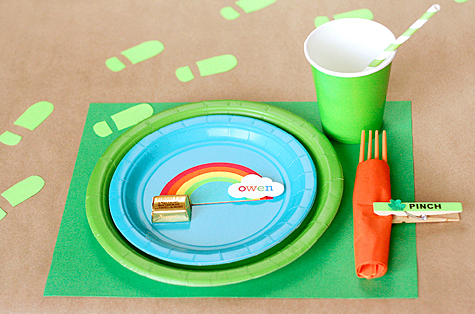 A pot of gold at the end of the rainbow, little leprechaun footprints, four leaf clovers, and even a little love pinch. Lisa's St. Patrick's Day fun has it all. Oh, and there are cupcakes too. What is a celebration without cupcakes? 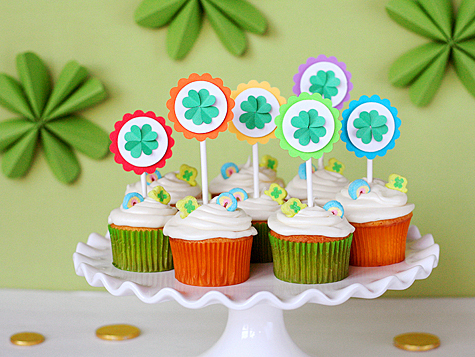 You can check out all of Lisa's St. Patrick's Day ideas over at Fiskars.